What do you get when you mix a detective/cannibal/clairvoyant together? 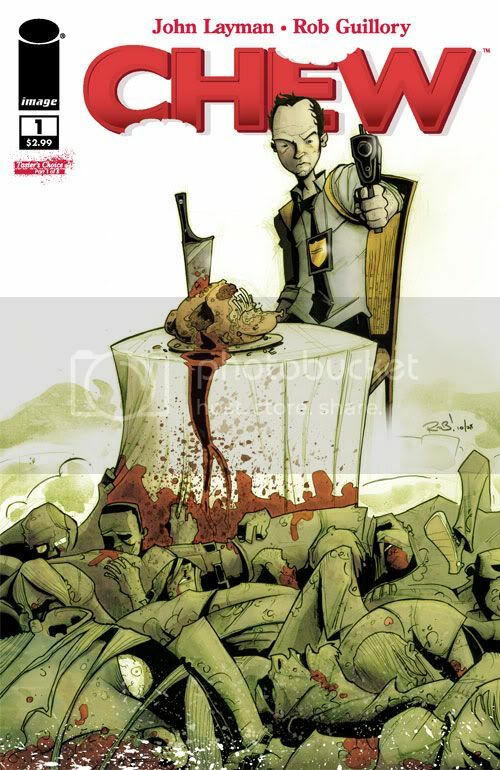 You get Chew, a new ongoing comic from Image Comics by writer John Layman with art by Rob Guillory. The twisted new series focuses on Tony Chu, a cop who can get a psychic impression for anything he eats. Need to find out who murdered someone? Well, he just needs to nibble on the corpse. Things get a bit more complicated after the government figures out his secret. I wonder what they are going to make him eat? The issue hits stands this Wednesday, June 3rd, 2009. That cover is so freaking cool. I love the art. Very noir-ish.